Vision of the mistreatment of children in juvenile detention centres in Australia’s Northern Territory was aired on the ABC Four Corners program on 25 June 2016. Within 24 hours, Prime Minister Malcolm Turnbull announced a Royal Commission into juvenile detention. The treatment shown was not new and had been known by the NT Government and Ministers for several years but the quick decision for a Royal Commission shows the political influence of television and current affairs programs. Although not yet written, part of the Royal Commission’s terms of reference should be the investigation of the workplace safety context of juvenile detention centre management and the treatment of the young inmates. “thorough inquiry… to get to the bottom of it, and expose what occurred and expose the culture that allowed it to occur and allowed it to remain unrevealed for so long”. A Royal Commission is unlikely to find that the NT Government or the prison guards have breached the WHS laws as the definition of reasonably practicable in this type of workplace with this type of interaction would probably allow the type of treatment revealed based on the risk assessments undertaken at the time. It would have been reasonable to also have NT WorkSafe undertake an investigation into whether WHS laws have been breached. NT WorkSafe has been contacted to determine with that agency has been asked to participated in any investigation on the issues raised. The focus is clearly on the health, safety and welfare of workers but makes no direct mention to the duty of care to “other persons” required under the NT WHS law, as quoted earlier. There was indications of OHS work practices in the videos shown by ABC Four Corners. The restraint measures applied were intended to reduce potential harm of the inmate and the spithoods are an effective barrier for reducing the transference of disease or illness by the inmate spitting on workers. Both measures were intended as risk controls and there could be OHS justifications, except that the measures seem to be used when alternative methods were possible and methods that may have afforded the inmates more dignity. But these control measures are lower order controls and indicate a reliance on measures that are short term rather than looking at systemic and cultural changes. Turnbull’s Royal Commission could be seen as an inevitable consequence of short term planning on the NT Government’s part and the lack of attention or inadequate responses to earlier incidents. The lack of action on earlier incidents or precursor events is a common element in the imposition of serious and expensive OHS penalties when cases come to Court. A Royal Commission can be a brutal Court. Vita also wrote briefly about the risk assessment and management criteria which will be crucial in determining the reasonable practicability of the hazard control measures employed and the conduct of the prison guards during the Royal Commission process. The Royal Commission has yet to get off the ground and politicians are still arguing over its scope but the catalyst for the Royal Commission, the ABC Four Corners program, has appeared after years of inquiries and reports in the inhumane treatment of young men at the juvenile detention centres. The treatment is not a new phenomenon as Pat Dodson’s referencing of previous Royal Commissions shows. But there is a different dimension to the proposed Royal Commission. These events are not exclusively involving indigenous Australians. The focus of much of the Four Corners program was the treatment of a white boy, Dylan Voller. This effectively diminishes the role of Race from the Royal Commission. It will instead focus on the treatment of inmates regardless of their colour, although race will inevitably be discussed. This inquiry has a good chance to look at the organisational culture and systems of the services provided by the NT government, including how OHS/WHS was applied, interpreted, rationalised or dismissed. OHS/WHS will not be a major feature of the Royal Commission, just as it was not in the Trade Union Royal Commission, but it will be discussed and this discussion will provide some clarity for OHS professionals and regulators on the ethics that underpin workplace safety. Kevin, having worked in Youth Detention and being requested by government to reform youth detention in the ACT after a suicide in care, I know just how complex this issue is. Unfortunately, OHS has such a poor name and reputation in the industry it is largely seen as an embuggerance and a nonsense. The mentality of orthodox WHS simply doesn’t connect with the complexities of child protection and detention. Unfortunatley, the lack of humanities thinking in WHS and the emphaisis on objects/engineering/regulation is not suited to this environment. The industry has a long long way to go past all its nonsense of zero harm and ‘safety is a choice you make’ before I would even raise the concept of WHS in a Royal Commission. The concepts and language of care and education, help, wisdom, maturity, culture, compassion etc. should encompass the notion of health and safety but this is not the discourse of WHS. The first thing I observed is all this language about prisons, inmates, criminality, correction and a host of discourse that is totally out of sync with all we know about child development and the nature of reforming culture. If we let WHS loose in on the youth (not juvenile) sector with its checklist thinking, dumb down approach to working with people, rigidity in practice and its discourse of prioritised knowledge it would set back the youth sector for years. The brutality we saw on the 4 Corners program is assisted by the kind of rigid, dehumanised discourse we see fostered in WHS in the workplace where people are sacked for not holding hand rails and not wearing PPE, where zero tolerance is advocated as some virtue. One day when WHS is more professional it might have the capability of thinking beyond policing. Good points Kevin and I can say I understand them having worked with Justice and Corrective Services departments for a number of years in safety areas as well as handling fallout from legal actions and cases arising out of incidents and more especially working in the scenarios when officers have walked off and the detainees are roaming and tv cameras are outside the institutions.. It is a very fine balance to be maintained or try to maintain, but in this case I feel that a detemination could be made quite easily, but analysing the starting point risk assessments and following all the actions from that point in each case. It is often the case that it seems like the staff have become institutionalised by virtue of stock standard responses, operating on auto cue rathedr than negotiate, talk down, thinking outside the box, working out other ways to resolve the situation, because the simple fact is that officers, staff can get injured just as quickly by charging in to quell a situation – I have seen it numerous times. In the case highlighted on tv, nothing justifies repeated tear gassing or pepper spray, nothing justifies stripping them naked, nothing justifies a mechanical restraint chair or spit hoods. There is always appropriate ppe for such institutions. At the same time when the adrenalin is flowing there is often the scenario that officers impinge on no go areas on the detainees body with potential to cause serious injury to the detainee or in some cases to themselves. As an example in one sitaution I was in, the detainee was arcing up pretty seriously. He was upset and wanted to call his motheer just to tell ehr he was ok and they were getting meals. The compound officer would not let him have a call as he ahd already had one that day. Intervening we arranged for the kid (17 years and bigger than myself) to have a call – took less than 5 minutes and he was happy to have me next to him hearing what was said. Then returned to his block with no hassles and settled down, which actually had a flow on effect with others in the block and made our control job in the walkout much easier. Far too often there are huge background and upbringing issues that have to be brought into the considerations for any initial risk assessment. Yes it seems hard given the specific work environment, but if some compassion and leeway and understanding is not shown in the first place and factored into processes, then nothing will change and not only are we then dealing with a significant body of personnel who are, will be or have been detainees at some some time with no real understanding of life skills and working within a social framework, but we will also have (in fact do have already) a large work group of employees who have or are in the process of becoming similarly institutionalised tehmselves without really knowing it and one outcome of this is the huge number of stress claims that arise out of work related issues in institutions and socials services and all the cost of this is eventually borne in so many ways by the larger community. Another great article Kevin, The topic you raise is a stark reminder to all how “safety” permeates our social fabric and is not just a “bunch of rules” for managers and Directors to impose upon a workforce. You are correct to look at the control levels with the restraint chair and spit mask, however I put that there is no evidence save for statements of those that used these controls that it was even needed, any investigator would hold such evidence without corroboration in low regard. I for one just don’t believe them on face value, this is what happens when quality assurance measures are not employed when administering such controls. Another issue that is relevant from a root cause analysis is why are any of these controls even needed? they are not permitted in Victoria, not that I think that the Victorian detention systems are all that much more progressive. I put that to ELIMINATE the need would be the most desirable control and this is where the Vita report you reference was effectively neutered in its terms of reference as will no doubt the pending Royal Commission be. The question should be “how do we avoid the need to detain young people in the first place?” and if we do “what is the best practice care of these young people?” If these are got right then we may just even start to care for the broken children in our society and find that, like all children they will respond in a positive manner to a caring and loving environment. A brutal, cruel and punitive system for a human being that has a wellbeing issue (psychological or emotional harm) will ALWAYS bring out a natural survival response. Julia Gillard, Kevin Rudd, Tony Abbott and Malcolm Turnbull all should be ashamed of their lack of leadership in allowing, even facilitating this outrage on our young people of Australia, they are the top of the tree in this matter, they run the NT and they are responsible for the system of detention in the territory, more so, all of our political leaders are responsible for leading our national culture, when the man on the street actually thinks that there are some children that NEED to be treated this way it is a blight on our entire society. Shame on us all. Mark, thanks for commenting on this still evolving political issue. I have consulted on OHS in the prison sector and acknowledge that it is a unique work environment where the assumption that people/workers/inmates want to stay safe is not as settled as in the non-prison world. How are you expected to maintain a safe and healthy workplace when some inmates are non-compliant (in the OHS sense)? How do you maintain a safe and healthy workplace when violence can be a daily occurrence? OHS-related inquiries always seek to identify systemic or cultural contributors to mental and physical harm and it will be difficult for the Royal Commission to investigate the NT juvenile justice system without looking at the broade socio-political context. That investigation is already occuring in the media and we will know more today when the terms of reference are released. 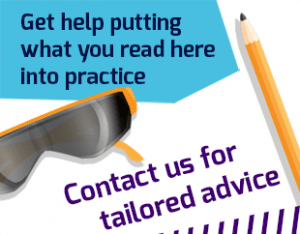 On the issue of the PPE, such as the spithoods, we don’t have access to the OHS risk assessments that should have been done to identify these measures as reasonably practicable controls. I am hoping that will come from the Royal Commission. You raise the issue of leadership and from information that is coming to light, this will be a focus of any investigation. Accountability has already been identified and the dismissal of the Minister for Corrections is likely to be the first of several, as we saw in the lead up to the Trade Union Royal Commission. What needs to be remembered is the lack of political accountability that we saw in the Home Insulation Royal Commission, supported by the exemption accountability built into the WHS laws. 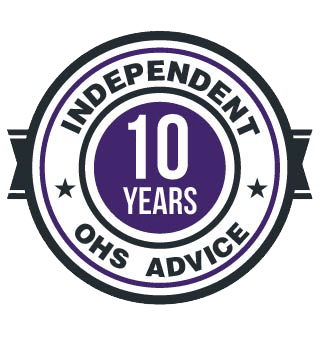 The OHS Profession is talking about issues of respect, trust, culture, leadership in workplaces. There has always been a flow back and forth from society to work and back again. This type of analysis will also be key to the Royal Commission into the juvenile justice system. In fact there are currently 10 readers online and a total of 17816 readers this month!